Welcome to MSC Web. My aim is to deliver affordable, high quality websites and back this up with continued support of your sites from a human being (me). I have extensive web development experience, having managed a corporate website for many years. Currently my portfolio outside of this work is small (just 2 sites, see below). So, to help me to expand my portfolio I will offer very competitive rates. 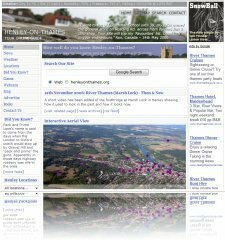 A comprehensive photographic record of Henley-on-Thames. 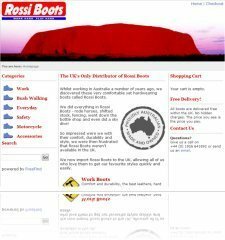 E-commerce website for UK distributor of Australian work boots. For more information and details on the extra value I can bring to your web project, please contact me. Copyright © MSC Web. All rights reserved.